​Evolution by definition is GRADUAL CHANGES of organisms from simple to complex over LENGTHY AGES. 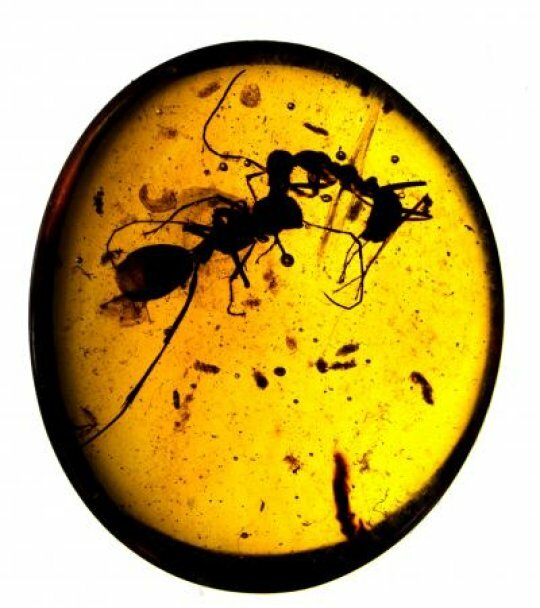 100 million year old ants, trapped in amber are completely IDENTICAL to ants you find on the pavement today. If evolution is gradual change over time, how come ants suddenly decided to stop evolving? Surely packing in larger size would have been advantageous. In fact scientist indicate that these ants prove that they were just as social back then as they are today. This proves ants remained UNCHANGED for millions of years. Obviously no evolution took place. 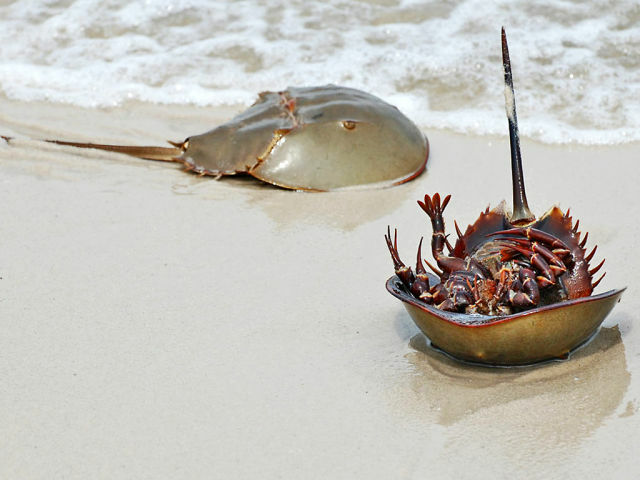 Horseshoe crabs are one of the BIGGEST FAILS of evolution, as they are alive to this day. 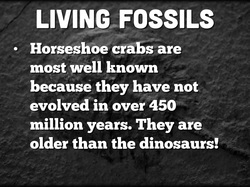 Evolution places them 450 million years which older than the dinosaurs and yet their fossils are IDENTICAL to modern horseshoe crabs that can be found today on our beaches. The fossil of jellyfish are IDENTICAL in every way to modern jellyfish down to the tentacles. There is no sign of any evolution whatsoever. 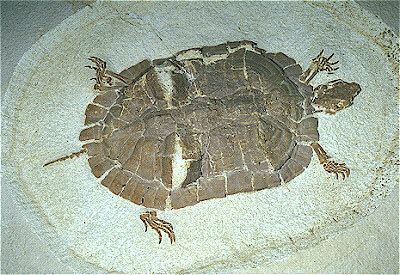 Again evolution (gradual change) is nowhere to be seen in the fossil record. Jellyfish being ALL soft tissue disproves evolution's assumption that each strata layers took millions of years to form. Jellyfish like all soft tissue rots away to nothing given a few days , even in complete absence of oxygen. NOT Millions of years? Science shows in days or hours. According to evolution the strata took millions of years to form and was preserved for millions of years more. However the preservation of soft-tissue proves the strata was formed within days. Soft-tissue decomposes in days, in the ABSENCE of oxygen. When in the presence of oxygen, decomposition happens even faster. 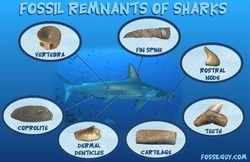 However the fossils clearly show soft-tissue meaning there was no time for decay to happen. 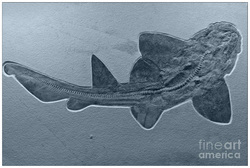 This places the fossil formation in a matter of DAYS not years. Mount St. Helens erupted on May 18, 1980 and during the course of 3 hours laid down nearly 100 individual layers of rock strata. 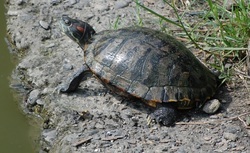 A catacylismic flood could likewise lay down within a course of hours all the layers of rock strata we find today trapping living animals just as easily. This denies evolution its millions and billions of years for gradual change, which is proven to have NEVER OCCURRED according to the fossils. The scientific evidence has spoken and is not only conclusive but overwhelmingly against evolution in every way. Evolution is the belief that gradual change happened over millions and billions of years. 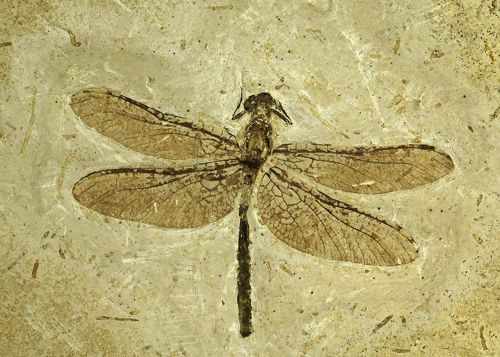 Yet the fossil record shows NO CHANGES in neither plants nor animals over hundreds of millions of years. Even the father of evolution admitted this. 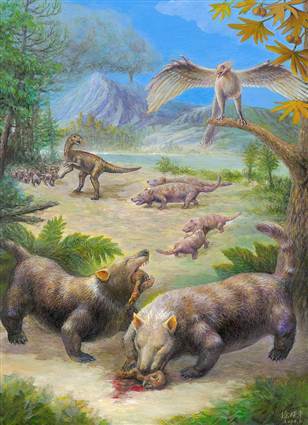 We also see animals that supposedly were not to be of the same era, together with the very animals they were supposed to not be around with. Even the strata supposedly millions of years in the making and millions of years old turn out to have been created in days, lest the soft-tissue would have decayed away leaving only skeletons. 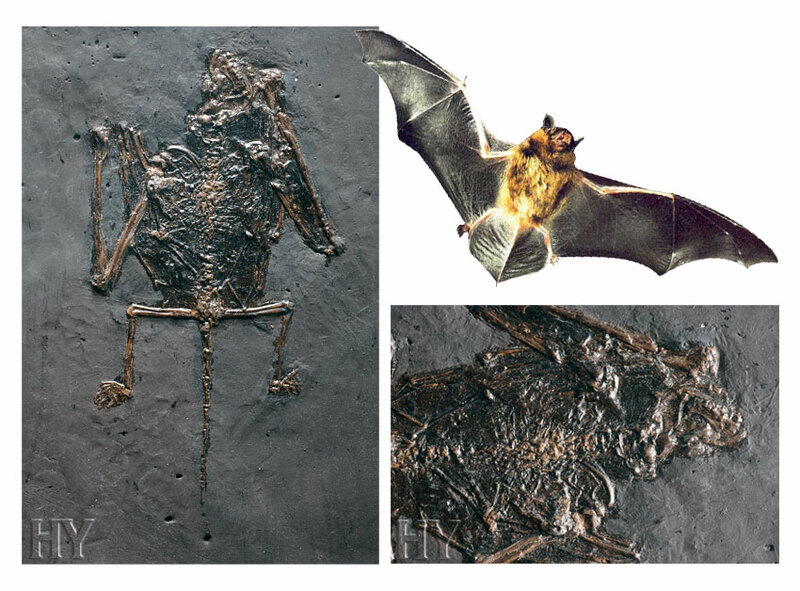 This all proves that evolution, an invention of man to explain away a SUPERnatural God SUPERnaturally creating the universe and all creatures abruptly, is nothing more than a fantasy with absolutely NO PROOF whatsoever. Far from the scientific fact evolutionist claim it is, evolution is even denounced by its own best proponents as being completely without its most critical evidence. This plainly leaves evolution in the realm of blind faith, with NO PURPOSE, NO DRIVING FORCE, and NO SOURCE for its matter & energy, order, and life, all of which are required to be explained. Would you rather believe this UN-Biblical and UN-Scientific nonsense, that even Darwin admitted had no proof for on his deathbed, or the completely Scientific and Biblical evidence that there is a SUPERnatural God out there who created the universe and all its creatures SUPERnaturally, even you. The Bible says this God loves you and even took it upon himself to make you right with Him, if you but TRUST Him. Won't you do that today? Seek Him and He says you will find Him. Ask and He will save you.